I'm a big fan of Ina Garten ( Barefoot Contessa). Her recipes always work for me and since she owned a take out food and catering business I feel we think the same with regards to food- not crazy fussy but certainly tasty! 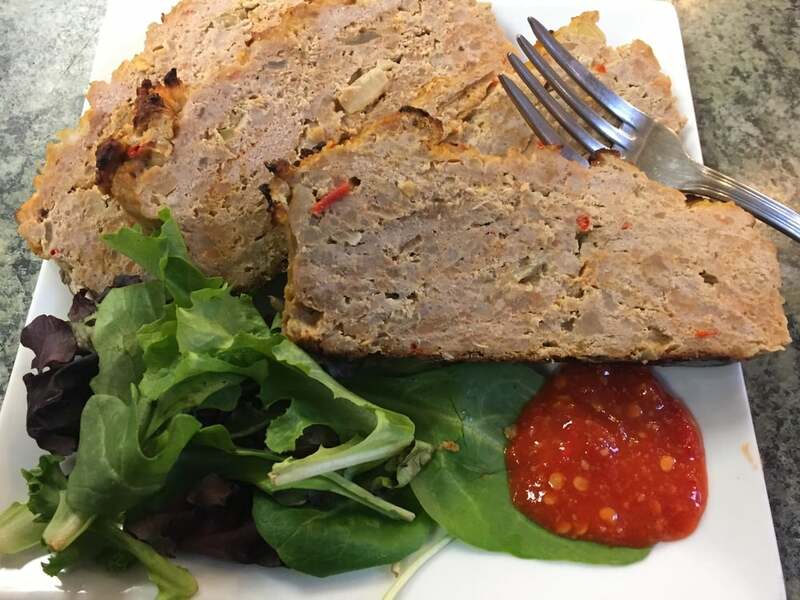 I started with her basic turkey meatloaf but added my own twist adding sriracha sauce( we make our own and I did use ours) instead of ketchup and panko breadcrumbs instead of traditional. I hope you like the results- we certainly do. Now you have a choice of our traditional beef meatloaf or turkey. In a large bowl place ground turkey, Worcestershire, chicken stock,bread crumbs eggs and sriracha. Add onions and mix together gently. Place in individual loaf bread pans or in two large bread pans and bake at 350 45-50 minutes or until internal temperature is 160. Serve warm, or cold as a great meatloaf sandwich. As you can see in the photo, the meatloaf cuts like a steak! Posted on January 9, 2016 by Loree Ogan.